Just like most things I bake or cook, these waffles are incredibly easy to make as well. No bowls, no stirring, nothing. If you have a good blender, that’s all you need. I personally use my NutriBullet. Pop in all the ingredients, blend them up and voila, you have waffle mix! It’s so great starting the day with a big, hearty meal that you know is not only tasty but is good for you as well. If you like pastry type foods for breakfast as much as we do, you’ll love some of my other gluten free options. 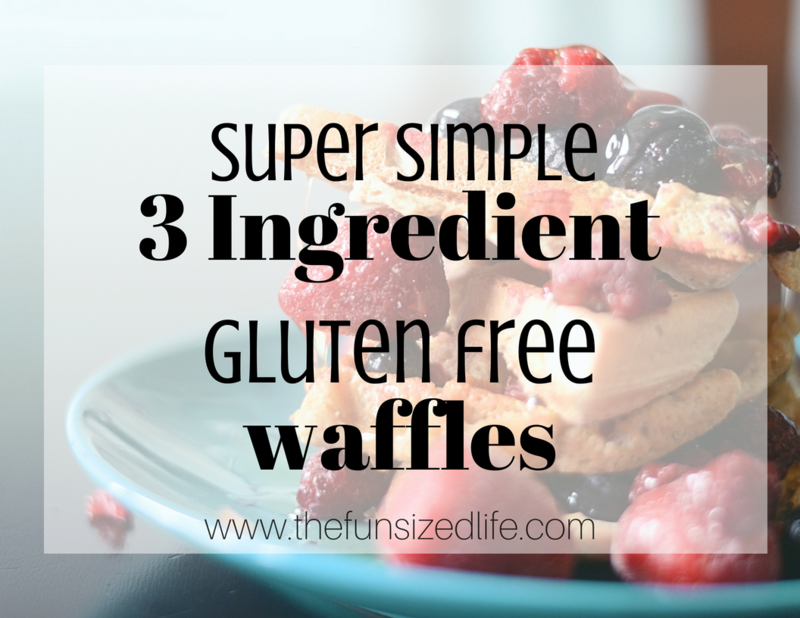 None of them are quite as simple as these three ingredient waffles, but they definitely taste delicious!